Members picked up ballots at registration. The beginning of summer marks the year end for the Great Neck Chinese Association (GNCA). 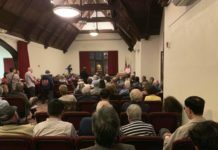 That’s when the vote for half of the association’s board of directors is held, and new leadership is selected by its members for the following year. 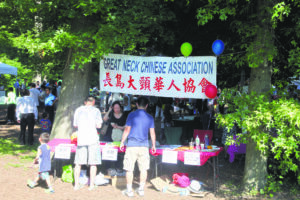 The election usually takes place at GNCA’s annual BBQ Party, which is also one of the most well-attended GNCA events every year. This year, the BBQ Party fell on Father’s Day, but close to 400 people still showed up at Kings Point Park to play games, enjoy food and make new friends. 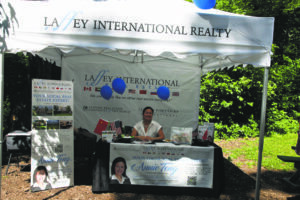 Annie Teng of Laffey International showcased her business. Representatives from new businesses were among the many attractions found at the BBQ Party. The party’s center stage was surrounded by booths set up by first-time business owners, including Annie Teng of Laffey International, Dana Guo of KW Gold Coast and Ye Ding of ViVi Bubble Tea. Due to various delays in getting the proper permits from the town, Ding will not be able to open her store on Middle Neck Road until September, but the BBQ Party gave her a chance to test run her products for the first time. 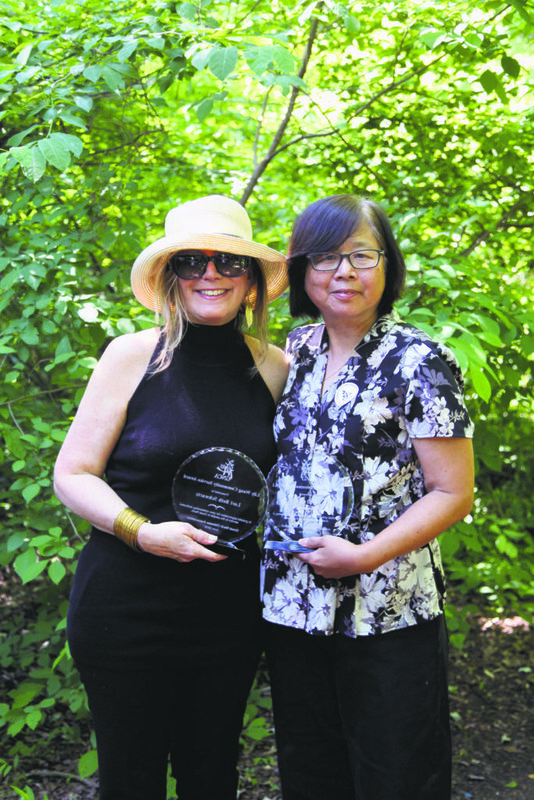 The Lily Wang Community Service Award recipients are Lori Beth Schwartz (left) and Betty Leong. 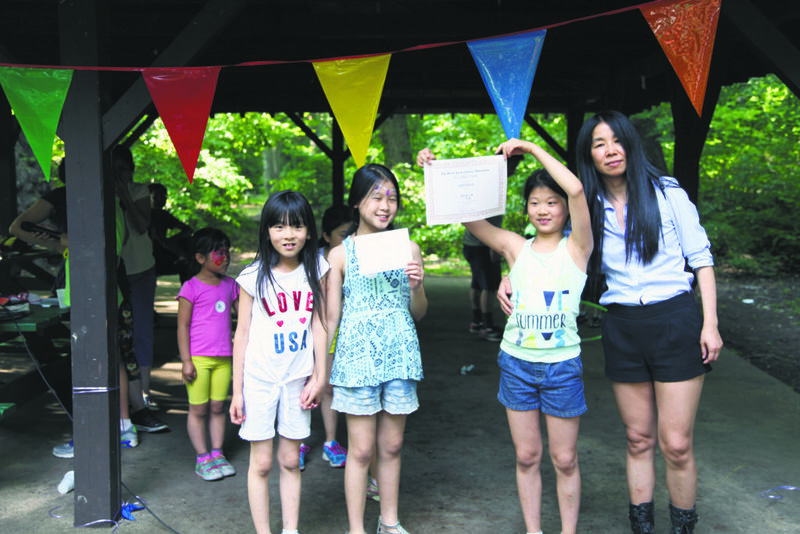 Something else new this year—GNCA announced the first two recipients of its Lily Wang Community Service Award, which was launched in May. The winners were Betty Leong from North Lakeville and Lori Beth Schwartz from Saddle Rock. 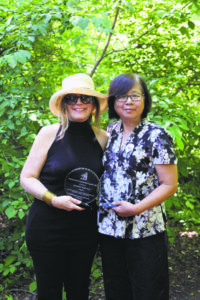 Though the Lily Wang Community Service Award was originally set for one honoree each year, the award’s Search Committee felt “compelled” to present the award to both individuals this time, because of the honorees’ compassion and dedication, and their outstanding community service, which makes Great Neck a better place. Team Baker was determined to win at tug-of-war. After the award ceremony, sports took the spotlight. 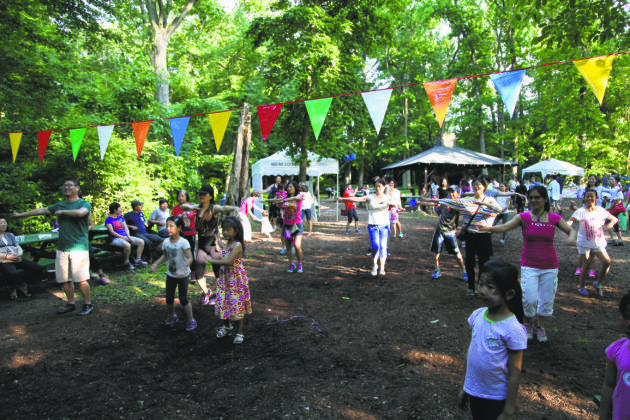 GNCA members formed more than eight teams to compete in games, such as tug–of–war, three–legged race, Hula–Hoop and many more. 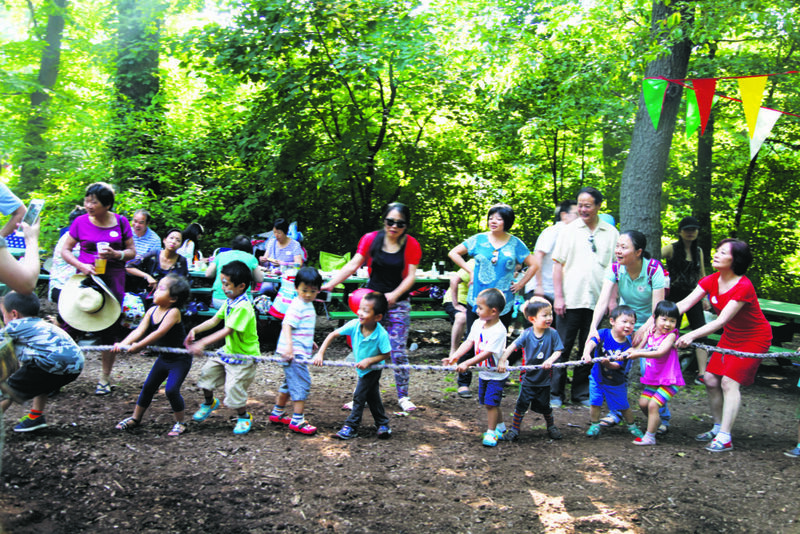 Young children tugged the rope during break. 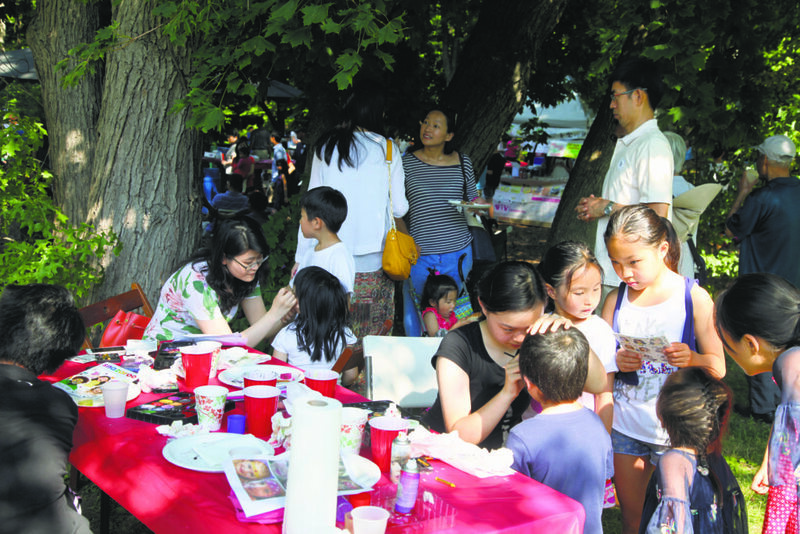 This was the third time Dana Guo’s family has attended the BBQ Party, and she’s found the games to be more interesting each year. Pointing to the center stage, Guo admitted that she felt a sense of nostalgia, because these were also popular games she played when growing up in China. “It is so nice to have an opportunity like this to join everyone together. We must make this [BBQ Party] a tradition,” she urged. Team Saddle Rock won tug-of-war—and proudly displays the certificate. The competition for games was fierce, but the spirit reached an all-time high and it brought people closer. Game rules were rarely strictly followed, which induced both complaints and laughter at the same time. At the tug–of–war, friends joined in to help one another, ignoring which team they belonged to. 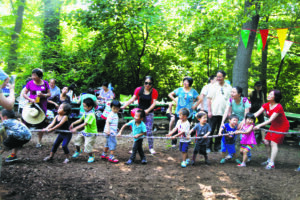 When Team Saddle Rock was announced as the final tug–of–war winner at the end of the BBQ Party, many said it was unfair because the team had way more people pulling at its side than other teams. However, Team Saddle Rock boasted that their “popular appeal” was also part of the game. 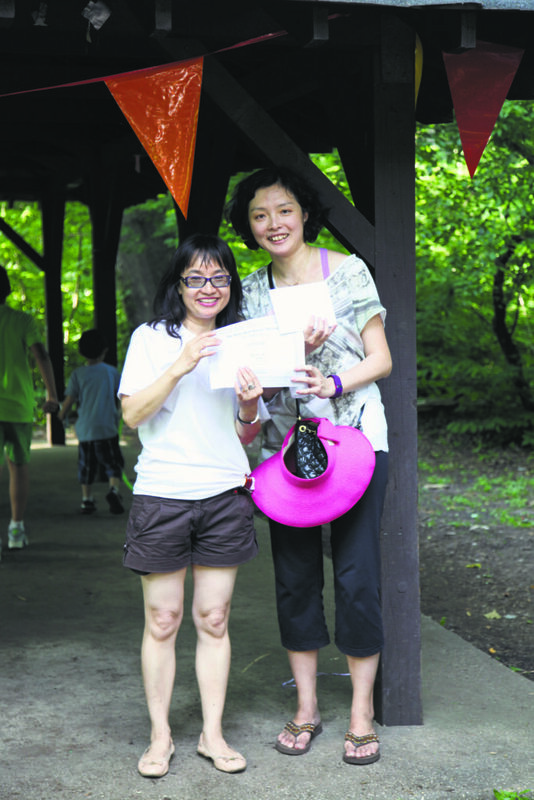 GNCA President Shuna Luk honored a competition winner. After the party was over, the “bickering” continued into social network space. View more pictures from the barbecue here. Read more about Lily Wang here. 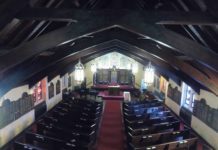 To read more about Lori Beth Schwartz, click here. 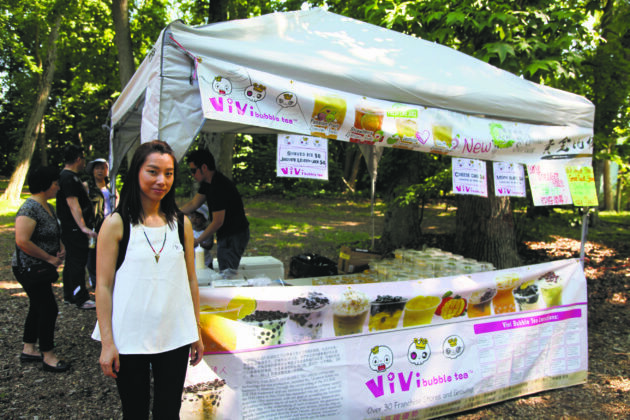 Ye Ding previewed her new business, ViVi Bubble Tea, which will be opening on Middle Neck Road in September. Dana Guo of KW Gold Coast and her family combined business and pleasure. 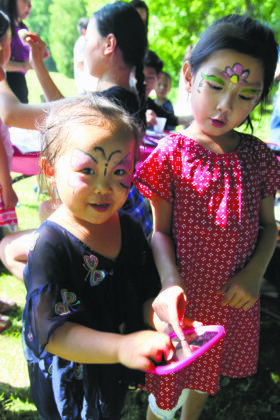 The face-painting volunteer team was trained by New Color Arts Academy. After checking their freshly painted faces in mirror, these girls were satisfied. Guests enjoyed the free Zumba class. 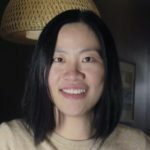 Mimi Hu is a columnist for Great Neck Record.